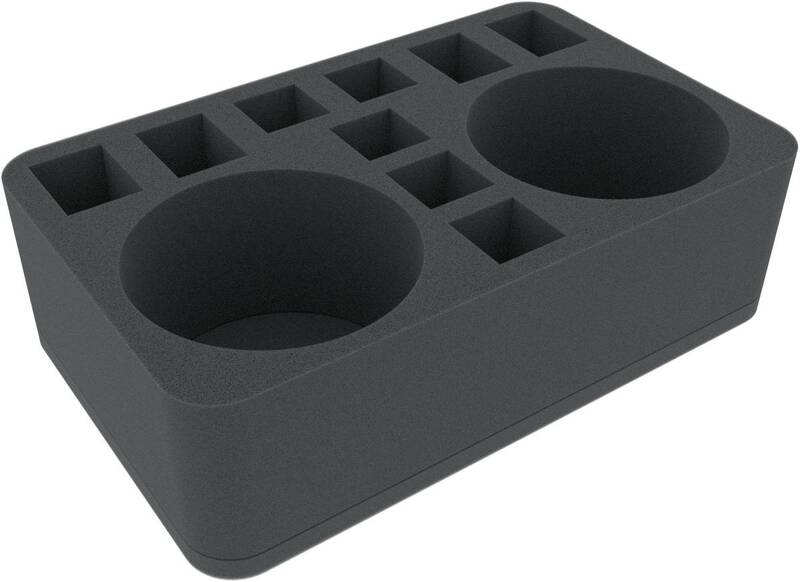 This Half-Size foam tray has 2 large round and 9 rectangular compartments. It is therefore well suited for mixed miniature sets - two compartments for miniatures with large round base up to 105 mm diameter and 9 for smaller figures. 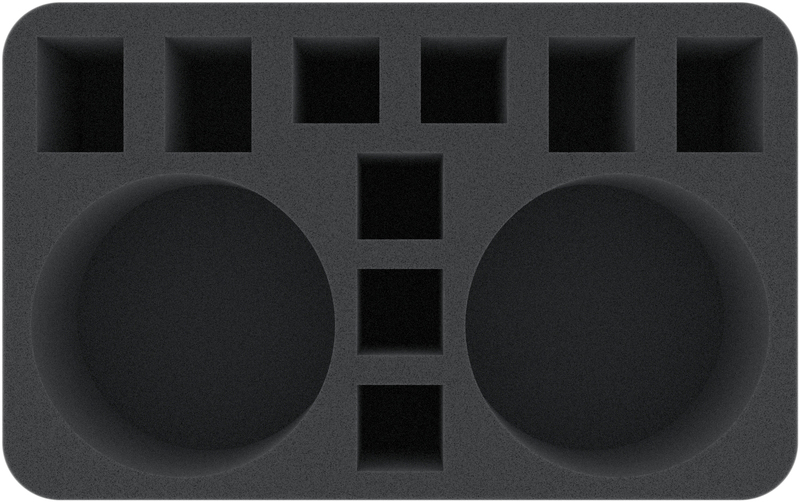 The Half-Size foam tray has the dimensions: 275 mm x 172 mm x 80 mm total height (70 mm usable height + 10 mm foam base).